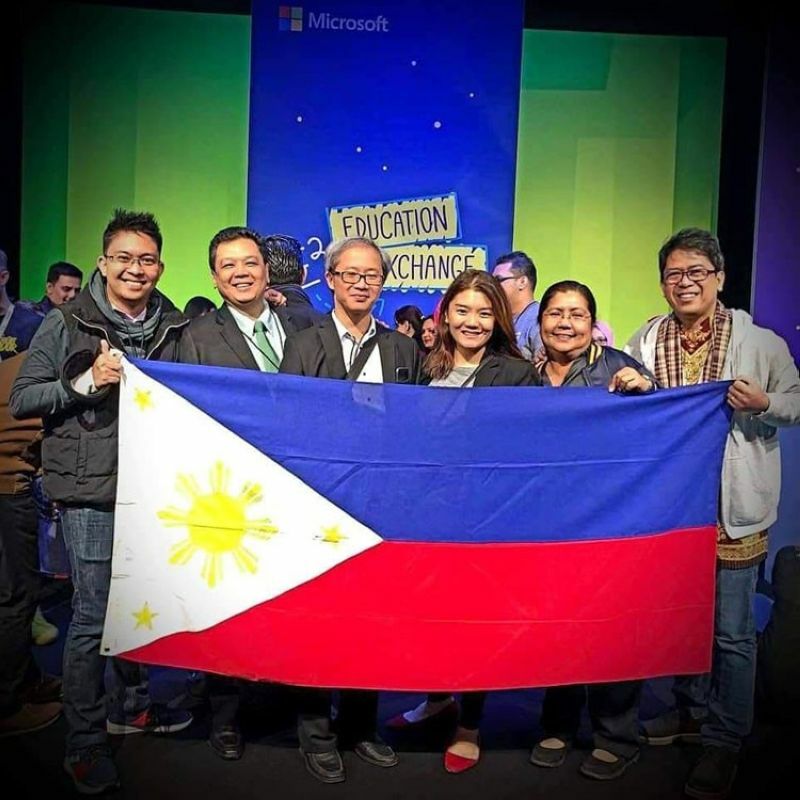 RONEL Boholano, in-charge of the Information and Communication (ICT) unit of Department of Education (DepEd) in Leyte Division, joined teammates from five other countries in winning the Microsoft-sponsored “Creativity Challenge” in this year’s E2-Education Exchange in Paris, France on Thursday, April 4. His winning fellow delegate educators were Ibrahim Aljabri, Carlos Calla, Karyn Fillhart, Tao Wu, and Jacek Zablocki from Saudi Arabia, Peru, USA, China, and Poland. In his presentation, Boholano showcased the learning and development of DepEd and the Leyte Division for ICT in education. “With the support of the division’s banner project Seedling or Strategic Empowerment of Educators in the Delivery of Learning Instruction and Needs-Based Governance specifically project ‘Targets’ and project ‘Sidlit,’ the division office is giving technical assistance to our teachers and education supervisors on the proper use of technology on education to develop students that are critical thinkers, collaborative, with good Communication skills and creative,” said Boholano. Boholano’s presentation followed the DepEd-National Educators’ Academy of the Philippines learning and development process through BEST-Philippines and Microsoft ICT tools with the Microsoft education ambassadors as the main ingredient. He added the division has continued the DepEd Computerization Program while forging partnership with various non-governmental organizations (NGOs) and government agencies like Department of Trade and Industry, Department of Science and Technology, and the Department of Information and Communications Technology who gave free WiFi and starbooks or digital libraries. “In 2017, we also trained around 1, 250 teachers in nine districts in ICT. While in 2018, we trained around 300 in two districts,” Boholano said. He said some of the NGOs that helped the ICT programs of Leyte include ProFuturo of Spain who gave tablets and training to Leyte schools, ABS-CBN project Genio for flat screen TV and training, Japan’s JAIKA volunteers for ICT training, and Energy Development Corporation (EDC) who distributed computers, among other donors. 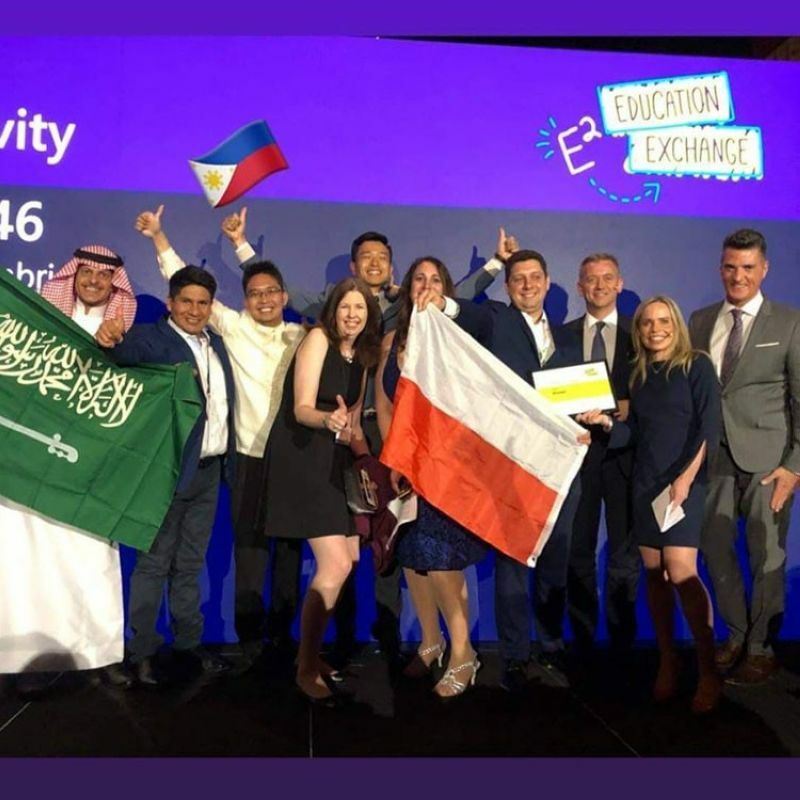 “The essence of E2 is celebration, recognition, collaboration, and inspiration,” said the Microsoft Education organization on its website as it invited the “heroes in classrooms around the world” to become a certified Microsoft Innovative Educator (MIE). “After becoming a certified MIE, you can continue your journey toward becoming a Microsoft Innovative Educator Expert. The nominations will be open from April 15 – July 15, 2019,” it added. “For 2019, the members of the Executive Committee and Management Committee will be able to use this equipment and technology. For 2020, the plan is to cascade the same to all division offices. This is part of DepEd's Digital Rise program as outlined in the Public Schools of the Future framework of the Administration Strand,” said Pascua. “I was online participating for more than two hours. This videocon signals the start of the utilization of technology in future meetings of the DepEd where physical appearance, though preferred, can no longer be an obstacle in the attendance and participation of all concerned,” Pascua said of the experience.